While on my travels this lovely blush caught my eye in duty free, and with duty free you can hardly say no! 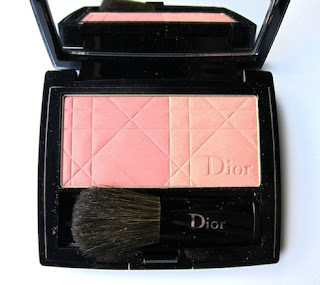 This is the first blusher I have had from Dior, and I was not disappointed. The left side of this duo blusher is a matte finish, whereas the right hand side has a pearly finish to it perfect for highlighting. I like to wear it mixed together but you can wear them separately. 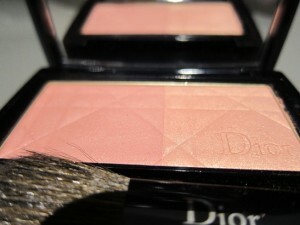 Dior have got the colour payoff of this blusher just right, so you don’t have to worry about it being too much. This blusher is perfect for a natural look it gives you this amazing healthy glow, the shimmer has not been overdone so that you look like a disco ball and it stays on your cheeks for a long time. I have not heard much about this blusher on other blogs which I am surprised about as it is lovely and I feel it should be recognised more as a must have blusher! So when you’re next at your Dior counter you should seriously check this blusher out, or click the link below to view it online.